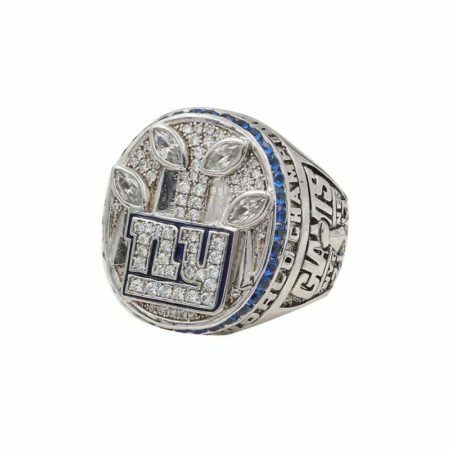 The New York Giants 2007 Super Bowl XLII Championship Ring is the most popular ny giants Championship ring among giants fans. 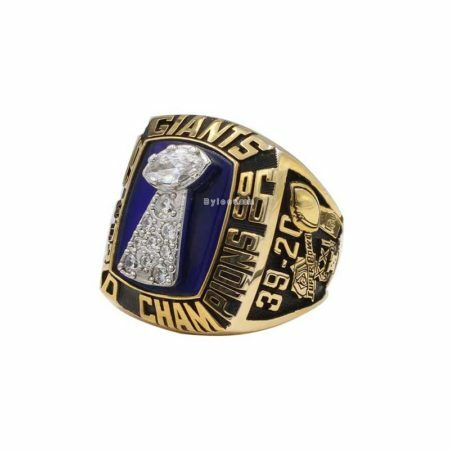 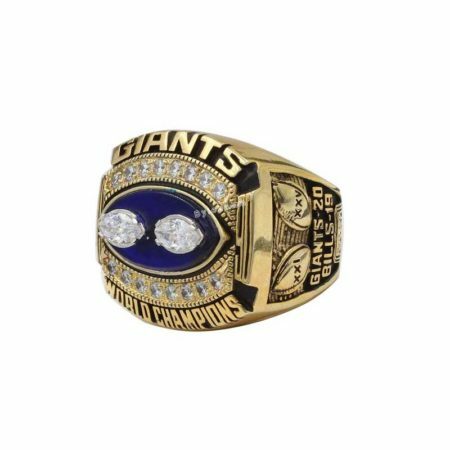 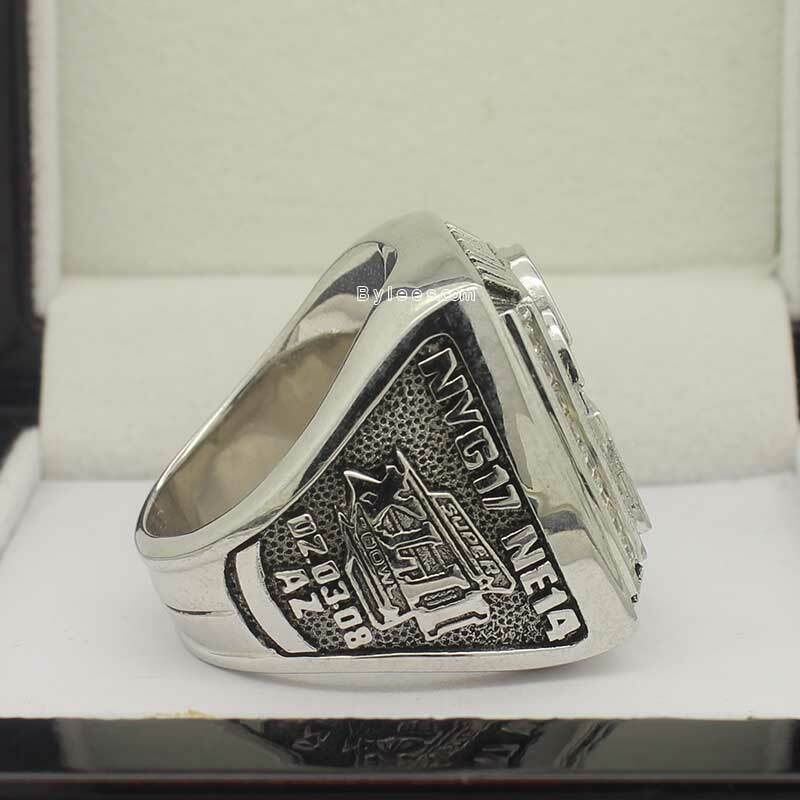 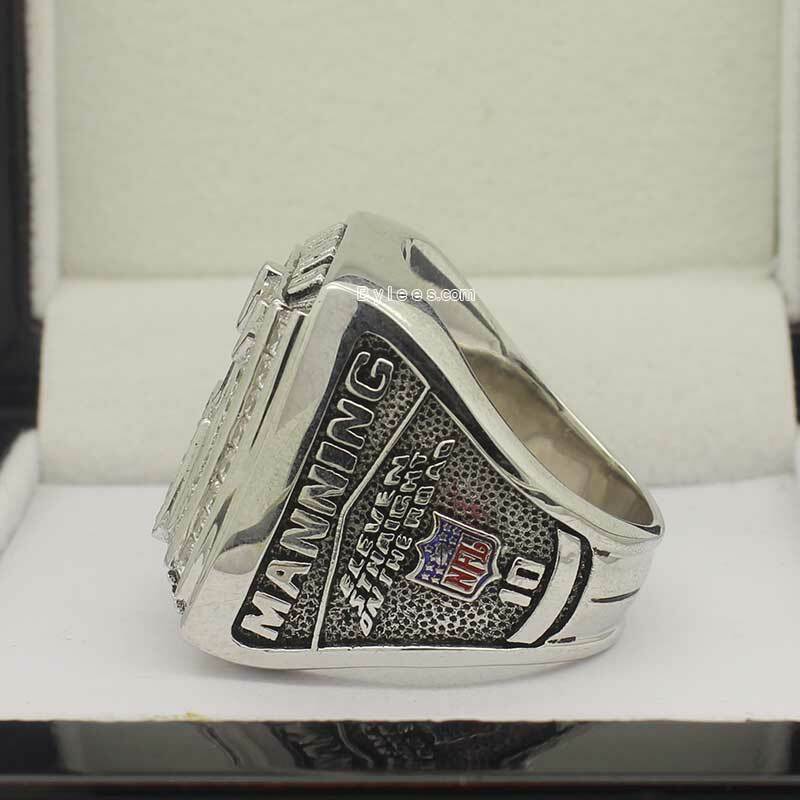 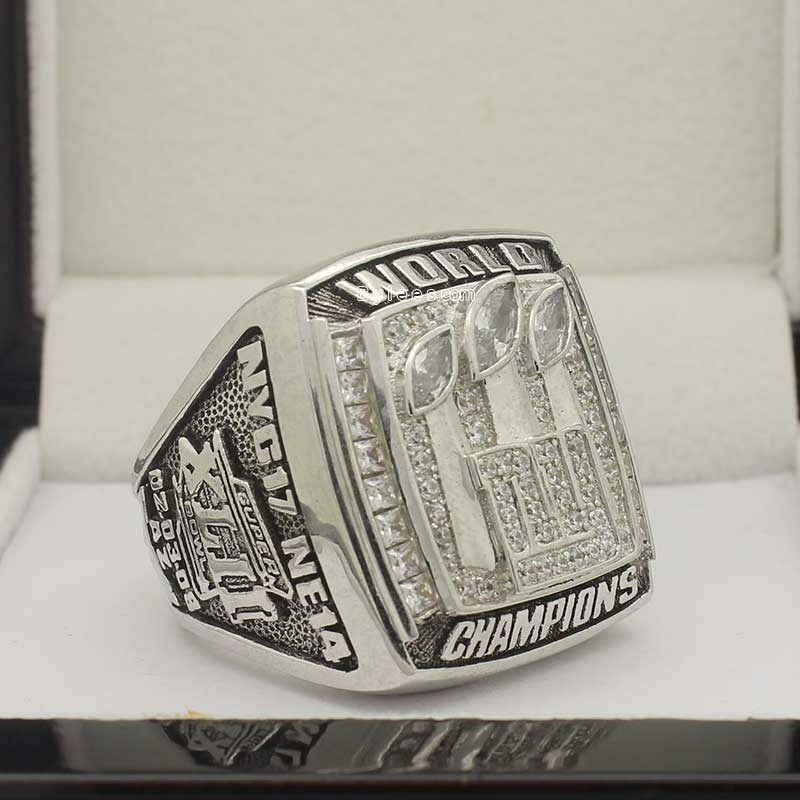 The combination of the logo icon and the giants 3 super bowl titles on the front makes the Super Bowl XLII ring perfectly unique. 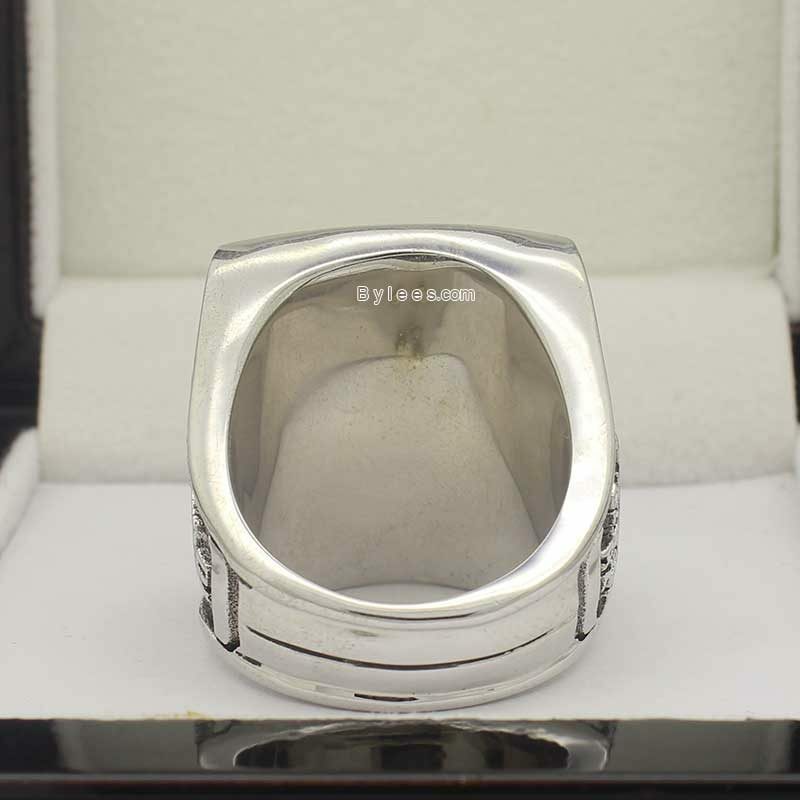 The simplicity style together with the square head also make it very fashionable as a sports championship ring. The version here is the player Eli Manning 2007 super Bowl ring replica. 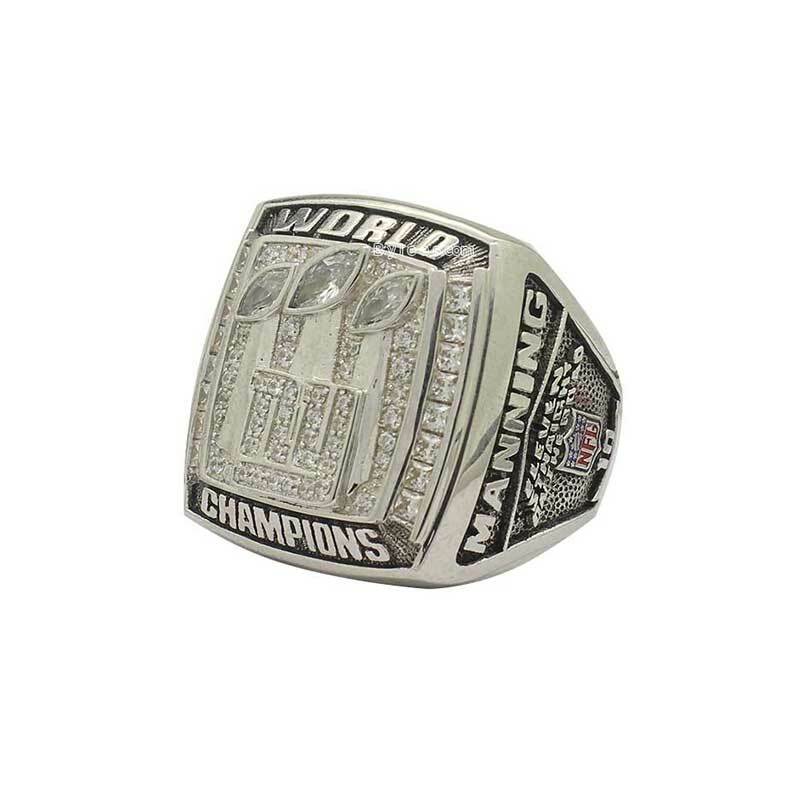 he was the MVP of Super Bowl 42 and led the Gaints to a third NFL world championship ring. 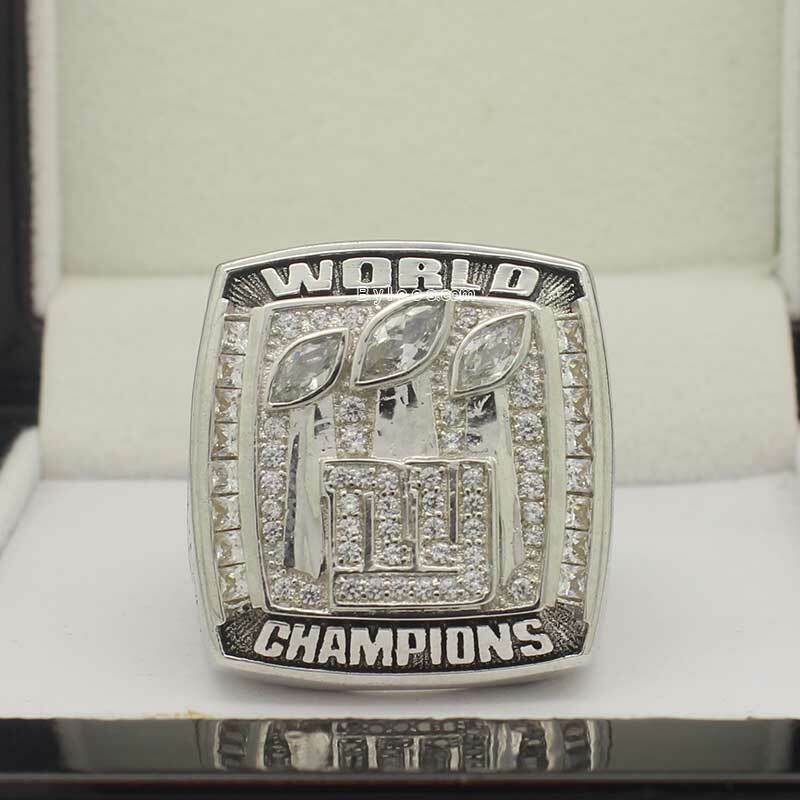 The Super Bowl XLII is regarded as one of the biggest upsets in the history of sports, as well as perhaps the finest Super Bowl game, or probably the most exciting chapter ever written in the New York Giants’ football history. 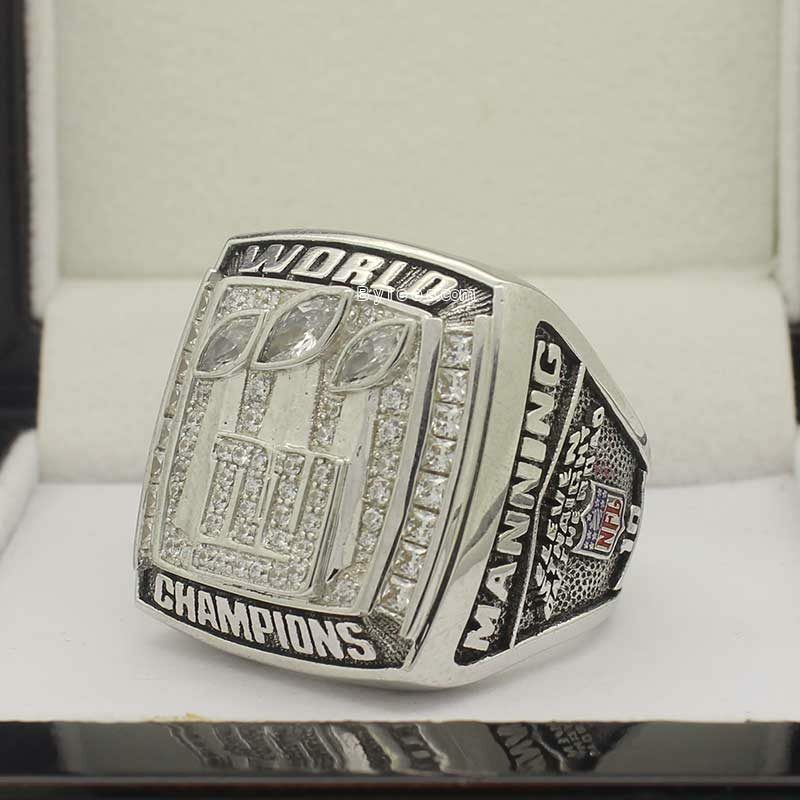 and this is the reason why giants fans love the 2007 giants super bowl ring so much.